Over the last several years of beer brewing, I have seen lots of bottles come and go. I have purchased homebrew clean bottles directly from a homebrew store, and while those pristine glass containers are perfect for competition and zero effort, I have also found myself taking a much cheaper route of cleaning bottles from my last six pack and reusing those freebies. Along the way I have noticed that some bottles are perfect and ideally suited for "conversion" into "competition-ready" bottles with little or no effort, and some bottles are just never going to make it. So I decided to keep this post as an ongoing post to track which commercially available bottles I have tried to clean for reuse and which ones generally aren't worth my effort. This is a personal list, you may have found different results. So first, the criteria for my verdict: My process for cleaning the bottles has to be the result of a rinse and soak in hot water, followed by potentially peeling off of labels (if they didn't float off) and a light scrubbing of glue with a scrubber sponge. 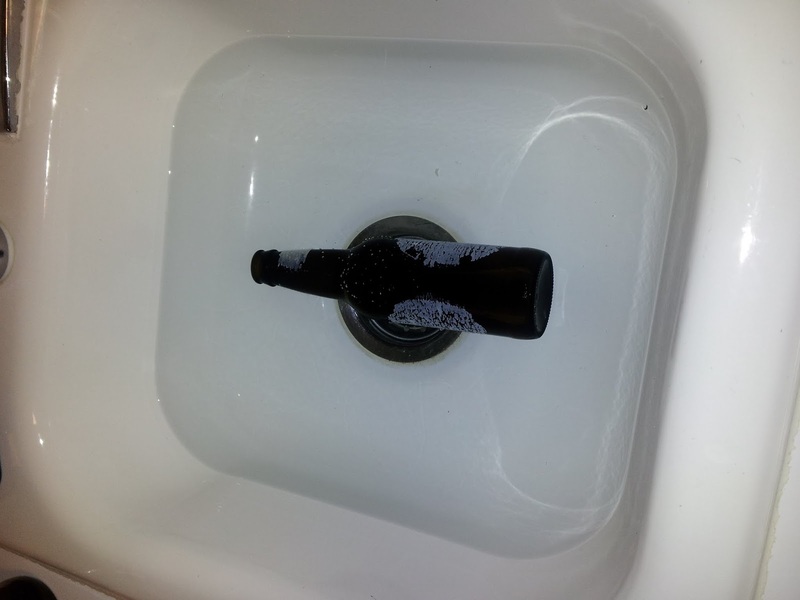 A subsequent soak in sanitizing solution will result in a usable bottle. Competition Grade: A clean 12 oz. brown bottle free of labels, with a crimp cap top with a wide enough collar to accommodate my two handed capper as well as the stand capper. Bottle should have no raised glass lettering, no glue, and no printing remaining that would render it unusable in competition. Personal Use: A bottle that is easily devoid of paper labels or glue and has sufficient collar for crimp top cap. Some feature of the bottle (size, raised lettering, silk screen printing) would prevent use in competitions, but these are excellent for personal consumption. Trash: Requires too much effort to clean or has bottle characteristics making it undesirable for even my personal use. I'll start with what I know and update this the more beers I try. And yes, I know this is scarce right now, but just a starting point for tracking this stuff. That glue stuff can be difficult, but when I've tried to clean glass of residual glue, I've found that a quick rub with a paper towel wet with acetone usually wipes the glue right off. Of course, you'd have to then wash that stuff off.